If you want to justify the performance and quality of the product then, you can download the try-up version of OST Recovery software.Try-up version is a charge less version of the software. Try-up Version doesn’t allow you to save converted OST files .You can only view the conversion process and converted items but, you cannot save them. 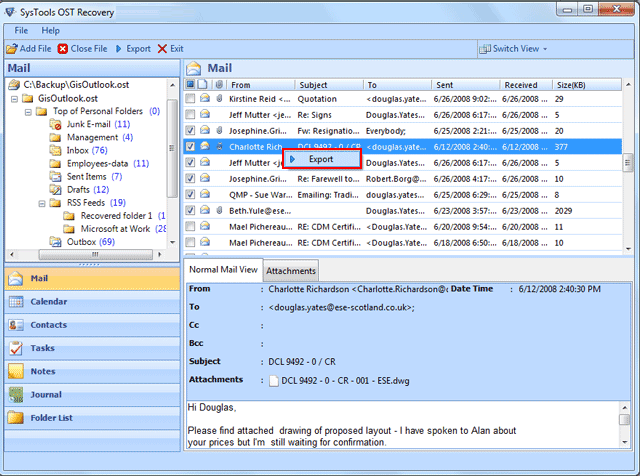 You can Import OST into PST including all the constituents of OST database with this try-up version without saving them. You can also convert exchange OST into PST with all the accurate fields, details and attachments with this version but cannot save them. Full Saleable Version of OST Recovery software can execute all the processes related to OST recovery and OST conversion in different formats PST, MSG and EML and you can save the entire recovered or converted OST database with fully operated version. Copyright © 2012-2019 www.ostintopst.com | All Rights are Reserved.